Network Personnel have been helping people to get back to work since 1985. We believe we have some experience in this matter and we want to share with you some tips on interviews. There are bad interviews and good interviews. It all depends on how you deal with them. Interviews are very important for hiring managers to make their decision. Here is some advice on how to prepare for an interview and how to prepare to get that job. Preparation is everything in life. Take time to prepare is especially important in interviews. An interview is a chance to impress a prospective new employer. 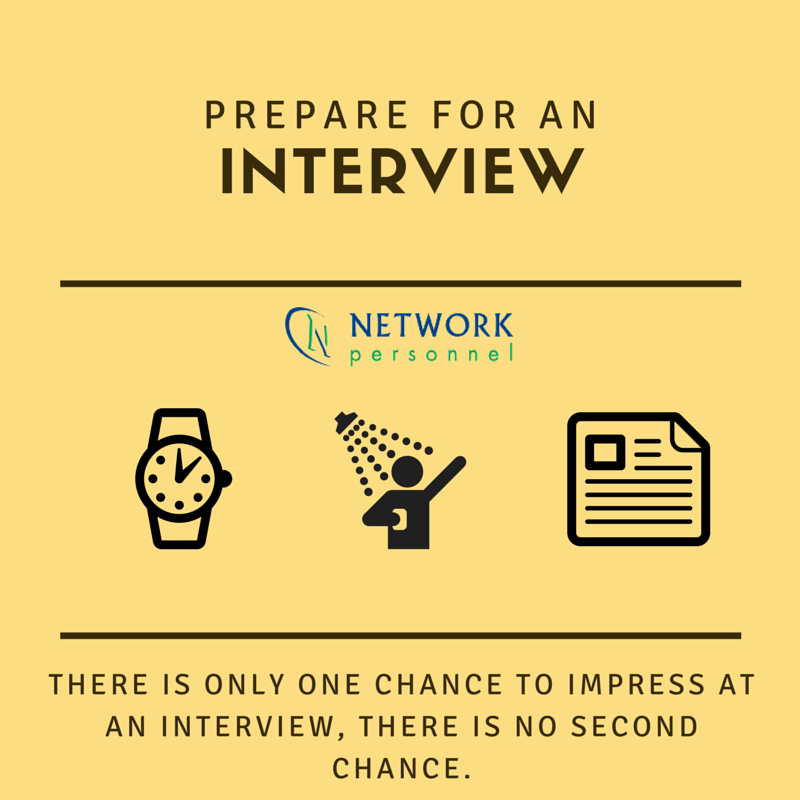 After all there is ‘only one chance to impress at an interview, there are no second chance’. You have to get it right first time. You have to prepare yourself! Employers are more likely to give you the job if they see that you are prepared. Know where the interview is going to be. Plan your journey to the interview. Leave yourself plenty of time to get to the interview. If you feel it is necessary, visit the location of the interview. Remember the names of the people who will be conducting the interview. Give yourself plenty of time- get up early. Don’t go out the night before. We at Network Personnel want to keep helping people with their interview techniques. If you follow all our tips you will be more prepared and more confident. Be positive. If you are positive, you will be in the right frame of mind to perform well at the interview and get the job. Do you have any ideas on how to prepare for an interview?